Sorry about the predictive speller stuff by I guess you will get my drift. 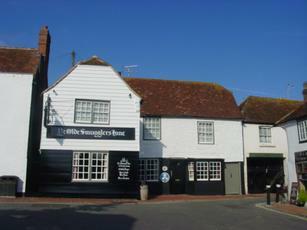 This is probably the most expensive pub in East Sussex at £5.00 per pint if very indifferent quality beer that has travelled all of 2 miles to get there. Dont get ripped off here, try the Plough and Harrow in Litlington, just diwn the road. Better beer, better prices £3.60 a pint today, better garden, I'm sure the food is better too, it certainly looked it. Its a better outlook with a very large car park, the service is better too. The new landlord (brother of the previous one) has made some improvements including better food. He is also on the right side of the bar serving. The beer range is very good and kept in good condition, with Harveys being always on, including Old during the winter. Very convivial atmosphere on a Saturday evening with locals and visitors. 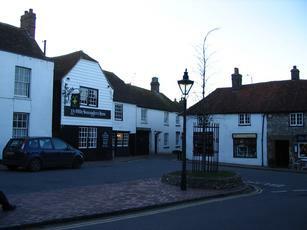 Still my favourite pub in Alfriston, although the competition isn't that great. Very nice pub with friendly staff - had four ales on when visited, there from Harvey's and one from Skinners of Cornwall called Cornish Knocker - opted for the Harvey's...it was in good condition - wish I could have stayed longer but had already done the rounds by then - recommended. What a relief to find a nice pub in Alfriston after a disastrous time in The Star and discovering The George was shut on a Saturday afternoon in July. The Smugglers has a rally nice interior and the beer and staff were most pleasant. If you have the energy, walk down along the river and up to The White Horse (chalk engraving) for fabulous views.